Debt can be extremely stressful but if you are thinking of starting your own e-commerce business and you require funding for the business, the weight that is associated with a personal debt can be inclusive for the immediate plans that you have. It is obvious that you are going to require a loan for establishing your business. However, if you are already in neck deep debt, and you still want to start your e-commerce business, you can opt for the alternative solutions of funding for starting your business. Given below is a list of the alternative solutions that you can consider for starting an e-commerce business while drowning into debts. It is true that having a personal debt is not going to preclude an individual from taking a business loan, loans might be available for the business right in the beginning, but they can offer a low capital at huge rates of interest over short-term periods, which you are not really going to prefer. However, if you have the capability of starting with the business plans that you have and become responsible for the initial loan, chances are that you are going to access larger funding sources that come along with terms that are much more favorable, in the future. Consider the different ways, which you can adapt for the business model for having lower requirements in the beginning. In this manner, you can make use of the small and short-term loans for funding the primary stages of the e-commerce business, by creating a credit history that is positive, which in turn is going to help you to get loans of longer terms. You need to understand if you require capital for the e-commerce business for purchasing expensive equipment. If that is so, equipment loans are the solutions, which can be accessed in a hassle-free manner irrespective of the situation of debt that you are in. This is known as the asset-based loan, which means that they are being used for funding a particular asset, which can be put to use as collaterals. If you are defaulting on the equipment loans, the lender will have the option of repossessing as well as selling the equipment that you have purchased for recouping their investment. In a similar manner, the invoice financing companies can also look at the customers for collecting the payment that has been advanced. Since they are known to offer alternative ways for the lenders to get the money back, the asset-based loans are going to be accessible to the borrowers, who are known to have existing amounts of debt. According to www.entrepreneur.com, 62% of the business owners do not prefer taking loans. It is true that the business models are becoming innovative nowadays but in the case of an e-commerce business, few of the startup costs cannot be avoided at all. This is what is known to make the bootstrapping approach as well as the asset-based financing two of the most unrealistic options. If you have to spend money on things that cannot be avoided and you find it difficult to qualify for the traditional bank loans on basis of the merit that you have, the best idea is to partner with the equity investors. Equity investors are known to have the necessary resources for funding your e-commerce business. It is true that it is not an easy task to find a partner or equity investor who wants to take this risk. Moreover, choosing an equity investor means you will have to give up a significant portion of your own in the business. However, if partnering with an investor is the only option for getting the funding that you require for your e-commerce business, it is a possibility that you should definitely consider. 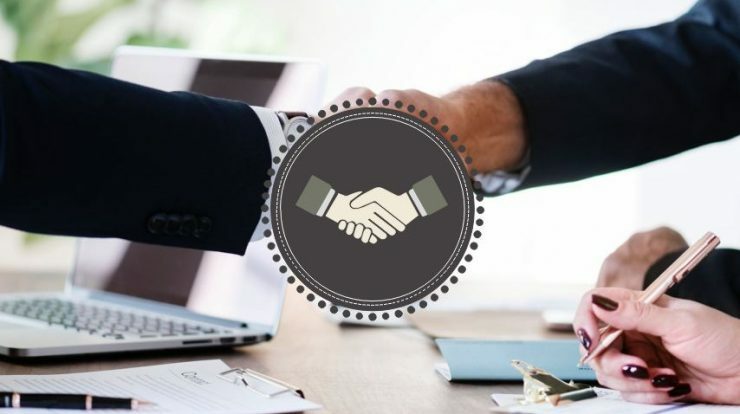 In numerous circumstances, there is no need of connecting with the business partners who are independently wealthy and going to reap all the benefit associated with the partnership. Instead, it is a good idea of partnering with a person who does not have enough personal resources but is known for the excellent credit history that he has. Also, ensure that he is qualified for debt financing. This person can be a family member or a friend or someone from the business network, who has all the skills for offering this endeavor. Irrespective of the funding strategy or the relationship that you share with this person, the most important thing that you have to keep in mind is writing an agreement before you pursue the business partnership. Ensure that your agreement is spelling out the commitments of each of the business partners along with a clear exit strategy as well. You can also hire experienced attorneys for drafting disagreement to avoid any unwanted challenge in the future. To know more, you can visit Nationaldebtrelief.com. Business grants are highly competitive and limited, but they are considered to be the perfect solutions for funding your e-commerce business even when you are drowning in debt. The main reason behind this is that they allow the business owners to obtain a particular amount without the expectation of equity ownership or repayment. In order to gain success with the application of a business grant, you have to find the grant programs, which are going to be the strongest fit for the business. The business grant should be capable of making compelling arguments for the entrepreneurial vision that you have. Starting an e-commerce business is possible even when you have a certain amount of debt, but it is crucial that you think outside the box. The community that you are planning to serve can be interested in helping your business in order to ensure that it becomes successful. You can choose to crowdfund the business as well. Starting a particular business even when you are drowning in debt is a huge challenge but you should not consider it to be insurmountable. If you choose the proper funding option, you will be able to make your e-commerce business stand within a few months only.